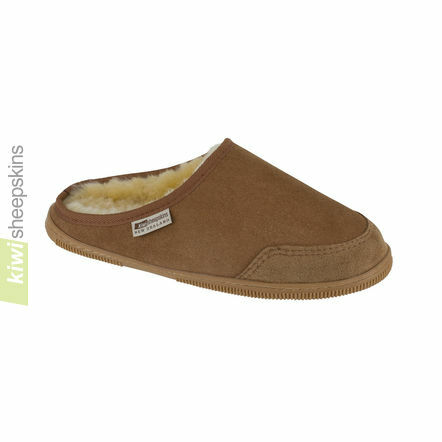 Our top-of-the-range sheepskin slip-on slip-off clog-style. Stylish, durable, premium quality, warm and comfortable, all you need in an easy-to-wear sheepskin slipper to wear at home all year round. Comments from delighted customers who have purchased our Loafer sheepskin clogs. 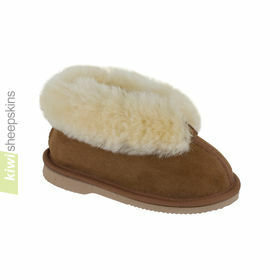 Just a quick email to say your wonderful slippers arrived - they are beautiful (beat UGGS hands down!). Your service is fantastic - they arrived in less than a week. I will be ordering from you from now on!! I have received my new slippers in the mail today and they are fab! My toes are wriggling about in delight as I type! When my brother saw them he said he wants a pair for Christmas. Just wanted to let you know that I am delighted! Thank you. I feel compelled to let you know just how I feel about your products and service. I bought slippers for my husband, my daughter and myself about 4 years ago. We each wear them everyday, in the morning and evening. We wear them indoors and out, summer and winter. We have replaced the insoles twice. I finally wore a hole through the toe of my right slipper. It is not a big hole, so I still wear it! My pedicurist recommends your slippers. The lanolin makes my skin soft yet strong. 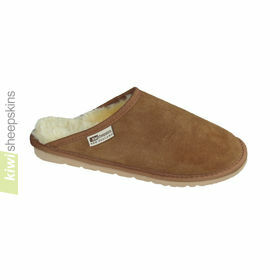 I wanted to send you a little note to say how pleased I am with my sheepskin slippers (clog type) I have been ordering these slippers for a few years now and I love them. When I first looked for warm slippers I had chilblains and needed something to keep my feet warm (my fault for walking outside in bare feet on frosty mornings!). I originally looked for something that I could buy in my own sheep country - Wales, I hoped to find something local. 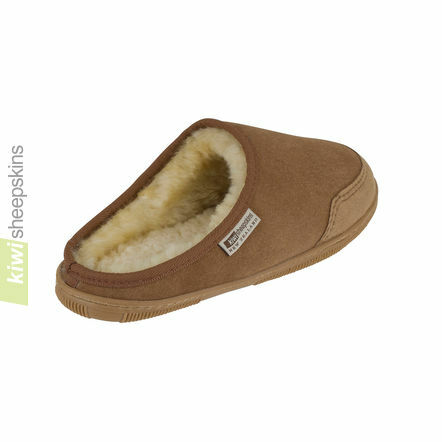 But there was nothing available so I looked at Kiwi sheepskins. I ummed and arrrred a bit at the price, are my feet worth 50 quid? but went for it in the end as my feet were sore. Putting those slippers on for the first time is like slipping into a really warm soft blanket/carpet combo - bliss. 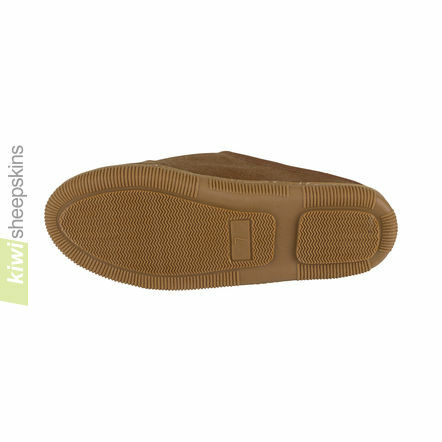 I found they last me comfortably about a year (I made the last pair stretch for 2 but by then they had holes in the side of the soles) and I do need to refresh the innersoles occasionally as they become flat but they are worth the 50 quid over and over for the amount of use they get! Well thank you and here's to a toasty Christmas! The slippers arrived yesterday and I have to say I am absolutely delighted with them....real quality. Many thanks. The order arrived today! Speedy shipping and lovely slippers - thank you. Just a note to say thank-you for your great slippers. I ordered some for my son and he absolutely loves them. 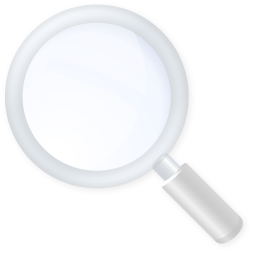 I was a little worried about dealing with a company so far away, but your service and products are great. Many, many thanks for your prompt and efficient service. 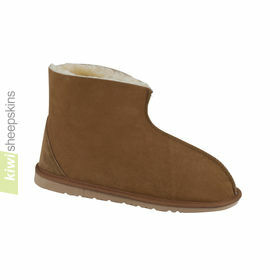 The boots and slippers are perfect, and are made of the highest quality sheepskin. Thank you. Very fast shipping. Exellent product. My new Loafer Clog Sheepskin Slippers are warm and comfortable. Thank you for your business. Loved the first set of slippers so well that I ordered another pair for my son-in-law. Fast speedy service and quality. Slippers arrived today, they are great, snug & comfy. Thank you very much for your quick service. I received my order today in England; only 8 days after shipping. The quality of your Lambskin Gloves and Loafer Clog Slippers is superb. Thank you for a high quality service and workmanship. I was delighted with the superfast delivery and with the quality of the ordered goods particularly as the goods had to come to the UK. I've told all my friends !!! A perfect pair of slippers! Just wanted to tell you how wonderful your sheepskin Loafer Clogs are! It's quite amazing that even with a bare heel they are super warm and cozy.